Robert Browning has been presenting world music concerts in New York City since 1976. He co-founded the Alternative Center for International Arts with Geno Rodriguez in 1975, an alternative art space on the Lower East Side which was dedicated to exhibiting the work of artists neglected by the established gallery system. 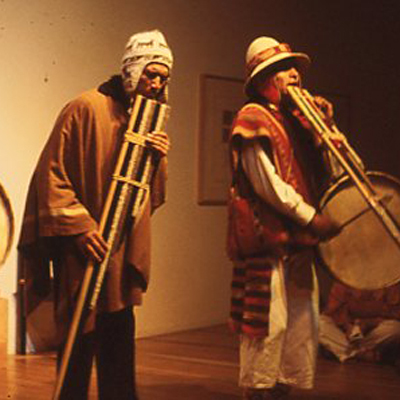 In 1976 the Alternative Center began presenting an eclectic series of concerts ranging from new music of the avant garde to Jazz, folk and world music. 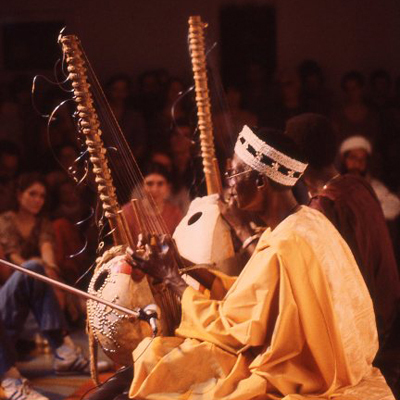 Early concerts included blues artists such as the late David "Honeyboy" Edwards and James "Son" Thomas, Tahuantinsuyo (music of the Andes), the Ardoin Family (Cajun/Creole music), Indian tabla virtuoso Zakir Hussain, Gambian griot/kora player Alhaji Bai Konte, Bengali folk singer Purna Das Baul with tabla player Badal Roy, and trumpeter/multi-instrumentalist Don Cherry, one of the earliest promoters of world music. In 1980 the Alternative Center changed its name to the Alternative Museum and moved to Tribeca, an area that was fast becoming New York's arts hub. By the early '80s the Museum was presenting up to 70 concerts each year with audiences of up to 200. Artists included the late Nubian 'udist/ singer Hamza El Din, legendary flamenco singer/dancer Miguel Funi, major Indian musicians such as Hariprasad Chaurasia, Shivkumar Sharma, Ustad Allarakha, Ustad Asad Ali Khan and the Dagar Brothers, and a host of Irish and Scottish musicians including Kevin Burke, Micheal O'Domhnaill, and Johnny & Phil Cunningham. At this time the Museum reached out to many of the new immigrant communities and presented concerts of Arab, Turkish and Persian music as well as music, from Laos, Cambodia and Vietnam. By 1985 the audience for world music had grown to such an extent that the Alternative Museum was too small for many concerts so Robert Browning and his wife, Helene, founded a new not-for-profit organization dedicated to world music; thus was born the World Music Institute. 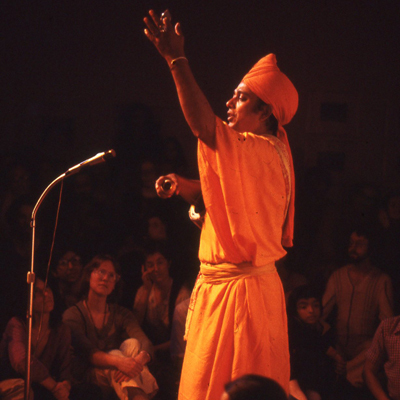 The first full season began in September 1985 with the Festival of India at the 900-seat Triplex theater (Tribeca Center for the Performing Arts) and featured some of India’s must celebrated classical artists, including Lalgudi Jayraman, Maharajapuram Santhanam, Hariprasad Chaurasia, Shivkumar Sharma, and Zakir Hussain. The festival continued the following year with a concert at Carnegie Hall with some of the finest Rajasthani folk musicians opening for the celebrated sitarist Nikhil Banerjee. Over the following twenty-five years, WMI organized more than 1,500 concerts at venues throughout New York City that included the annual New York Winter Blues Festival (1984 -1993) ; the Musical World of Islam (1993-94, 1995-96) concert series that featured artists such as Nusrat Fateh Ali Khan (Pakistan), Simon Shaheen (Palestine), Sabah Fakhri (Syria), Necdet Yasar (Turkey), Alim Qasimov (Azerbaijan), the Master Musicians of Jajouka (Morocco), Shahram Nazeri (Iran) and Dimi Mint Abba (Mauritania); the Festival of Greek Music & Dance (2000-2005) which included rembetika music as well as regional styles from throughout mainland Greece and the islands; and the New York Flamenco Festival (2001 - 2011), which featured many of Spain's greatest musicians and dancers. Artists from Africa and the African diaspora played a major role and included Kandia Kouyate, Oumou Sangare and Toumani Diabate (Mali). Ladysmith Black Mambaso (South Africa), Les Ballets Africains (Guinea) and Los Munequitos de Matanzas (Cuba) and the Skatalites (Jamaica). In 2011 Robert Browning retired from WMI. Robert Browning Associates was initiated to continue the Browning legacy. Robert and Helene Browning remain committed to presenting traditional music of the highest quality and to work with community groups and other organizations to promote the artists.